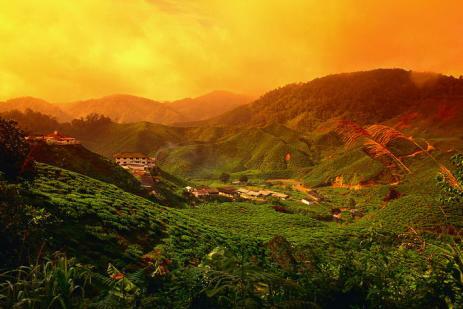 Tanah Rata is Cameron Highlands’ biggest township, located along the main road 4km before Brinchang and 10km away from Ringlet. This tourist township is one of the most famous places among locals and international visitors while having vacation in Cameron Highlands. Simply because the town contains the most amenities and facilities, including a hospital, district council, taxi and bus stations and a great diversity of backpacker inns, hotels and luxury resorts that suit all types of budget. For nature lovers, most of the jungle trekking trails start from Tanah Rata. Depending on the trails you trek on, you will come to Robinson Falls, Parit Falls, summit of Mount Beremban, Mount Mentigi, Mount Perdah and Mount Jasar. At night, there are not many nightlife activities in Cameron Highlands. Most of the restaurants and hawker stalls close before the midnight. There is one Bistro and Pub that offers draught beer and this is probably the only nightlife outlet in the town. To enjoy a cup of international brand coffee, there is also one Starbucks outlet here. There are quite a number of local tours and transfer services offered in the town, visitors can either sign up for the diversity of tours provided by the tour companies or hire a car to tour around Cameron Highlands and nearby towns. Before exit from Tanah Rata and on the way to Brinchang, visitors will get to see beautiful countryside scenery, tea plantations and parks lining up along the way. The famous Strawberry Park Resort is located in the town of Tanah Rata, while the luxurious Cameron Highlands Resort is located with close proximity to the only golf course in Cameron Highlands, the Sultan Ahmad Shah Golf Club. For backpackers, there are a lot of backpacker lodges and budget hotels available in this town. If you are visiting Cameron Highlands for family vacation, you can also opt to stay in one of the many apartments rented out in this area as well as a range of mid range resort perched across the town. 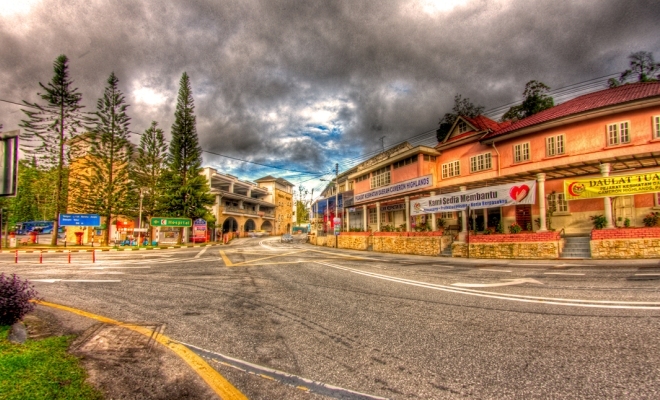 Although there are plentiful of accommodation options in Tanah Rata, but the town can become very crowded and packed full of visitors during weekends and peak holiday seasons. For tourists who are planning for a vacation in Cameron Highlands should always reserve the rooms in advanced to avoid any disappointments.